Field to Feast 2019 – Cowboy Boots and Disney Chefs — Rona. Cowboy boots and Disney chefs are an odd-sounding combination, for sure, but stick with me. You may end up having a really fun time. For the sixth year, food lovers and Disney lovers will meet up at Field to Feast. It’s an open-air event with excellent food prepared by top Disney World chefs, special wines poured by Wine Bar George owner and master sommelier George Miliotes, a scenic country farm venue, and relaxed conversation with others who enjoy fine fare in an ultra-casual setting. The photos scattered about from last year’s Field to Feast give you a picture of what to expect, and here’s a basic explanation: Field to Feast is an all-you-can dinner on the Long & Scott farm north of Orlando. The chefs of several top Disney World restaurants stand at food stations, dishing up savory or sweet dishes made on the spot. Their colleagues pour paired spirited beverages alongside. Country music plays. Guests sample the flavors at tables covered with red-and-white-checked cloths, under sparkly lights once the sun starts to set. Folks duck out for wagon ride farm tours here and there. Splurge on a raffle ticket or 10; you may win a prize. Most participants buy tickets because the setting is so delightful and the food is so good – and I mean that sincerely. Expect to spend the afternoon raving about what you taste. 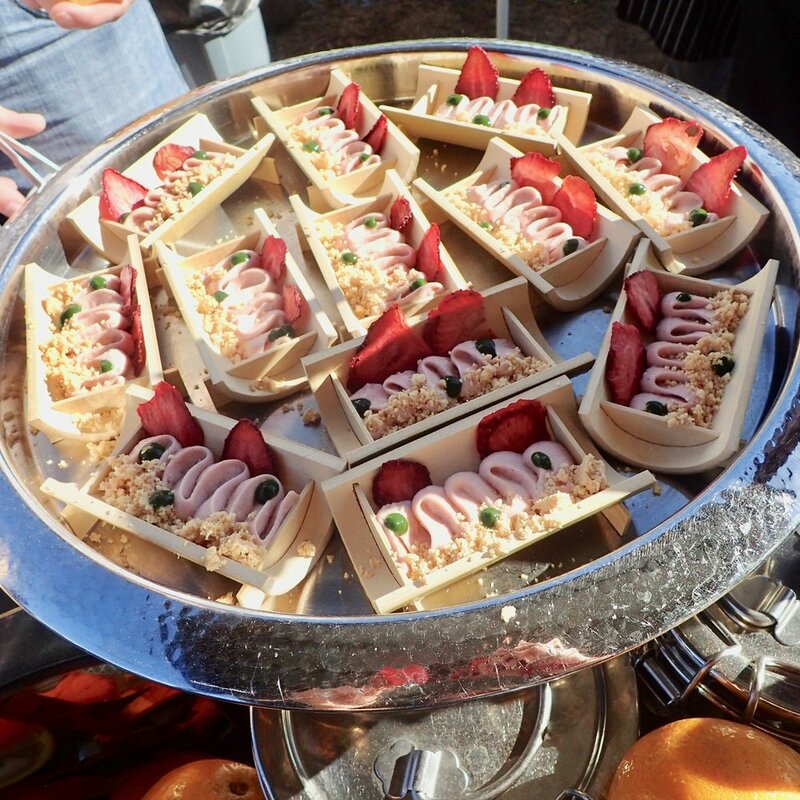 Yet the folks hosting Field to Feast – Edible Orlando magazine [one of my clients, yet I’d plug this event anyway because it’s amazing], with major support from Walt Disney World – aim to do good. They give all the money raised to the Kids Cafe Program of Second Harvest Food Bank of Central Florida. Over the last five years, that means more than $100,000 has gone to feeding hungry young neighbors. Tiffins, The Hollywood Brown Derby, California Grill and Be Our Guest Restaurant are among the top-tier restaurants whose chefs will be cooking, plating and serving at Field to Feast. Tickets are $175 for the February 23, 2019 event, and you can buy them here. You’ll have a good time while doing a good deed for your community. See you there? P.S. Tickets sell out every year, so if you’re want to experience cowboy boots and Disney chefs, reserve your spot soon.